You may order only the appliance panel alone or with the backer panel and/or the spacer panel. 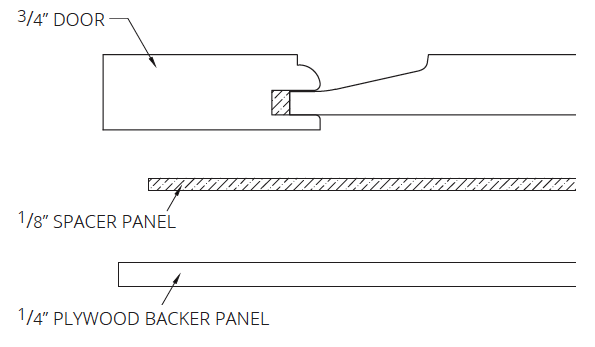 Please note: Keystone does not supply the 1/8” spacer panel or the 1/4” backer panel unless requested and specified. 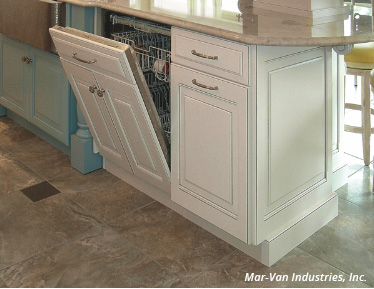 Panels for dishwashers, refrigerators, trash compactors, and freezers are made in the matching door style and finish. 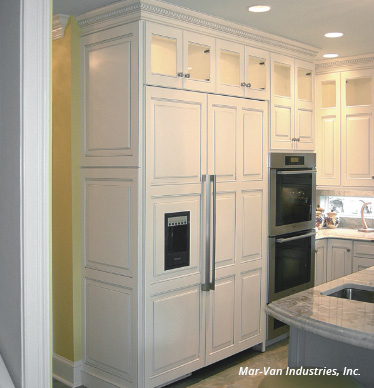 Refrigerator panels over 24” wide require at least one center stile. Panels over 48” high require at least one center rail. Order by giving us your exact measurements on a drawing.